is widely proven to provide highly effective drying of samples previously stored in Dimethyl Sulphoxide (DMSO). 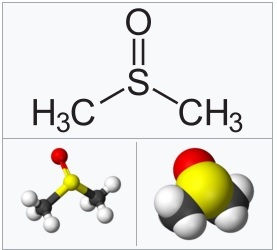 Dimethyl sulfoxide (DMSO) is an important polar aprotic solvent that dissolves both polar and non-polar compounds and is miscible in a broad range of organic solvents as well as water. Because of these properties it is widely used as a universal sample storage solvent. However, samples dissolved in DMSO cannot be as easily recovered compared to other solvents, as it is very difficult to remove all traces of DMSO by conventional evaporation techniques. represents the ultimate in solvent removal technology. Benefiting from an advanced scroll pump that delivers reliable deep vacuum down to 0.4mbar, and chamber heaters to protect the system from condensation, the Series 3 HT evaporator is able to efficiently and effectively dry even very high boiling solvents such as DMSO. Designed with latest touchscreen technology and a sleek ergonomic design, the Series 3 HT evaporator makes optimising your evaporation processes effortless. 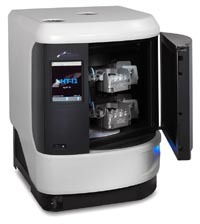 Available in 6- and 12-sample holder configurations, Series 3 HT evaporators are the system of choice for high throughput sample drying because of their high capacity, unique technology that eliminates cross contamination due to sample bumping, and automated monitoring of temperature and pressure to prevent sample degradation. Benefiting from Genevac’s 25+ years of experience designing centrifugal evaporators, Series 3 HT systems are easy to use, reliable, robust and safe for both operator and your valuable samples. on the Series 3 HT evaporator please watch the video at https://www.youtube.com/watch?v=9gzgjryavcM or ccontact Genevac now on +44-1473-240000 / +1-845-255-5000 / salesinfo@genevac.co.uk.